Give us a little information about yourself and we will find the car insurance that best fits your needs. Click below to get started. Also see our forms for Home, Commercial, & Our other Insurance products. Welcome to our website. We hope you find the information you need here but if not please give us a call at 770.674.2112. We are always happy to talk to you. 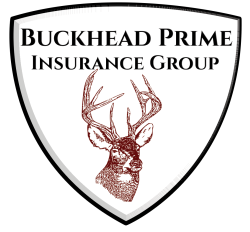 At Buckhead Prime Insurance Group, our focus is helping our customers, not just making a sale. Coming from a State Farm Insurance background, Buckhead Prime Insurance Group has a solid background in insurance training and knowledge. Not only do we give a great experience, but we have more options which usually leads to better prices! We have one office right now in the Duluth area, but we are growing so fast we will be in your neighborhood soon! We write people from all over the state; giving great customer service over the phone or email works for us too. If your driving record is less than perfect, then we would like to set up a plan for each client to determine how we will save you money in the long run. Serving insurance all over the greater Atlanta area and surrounding counties. More offices coming soon.